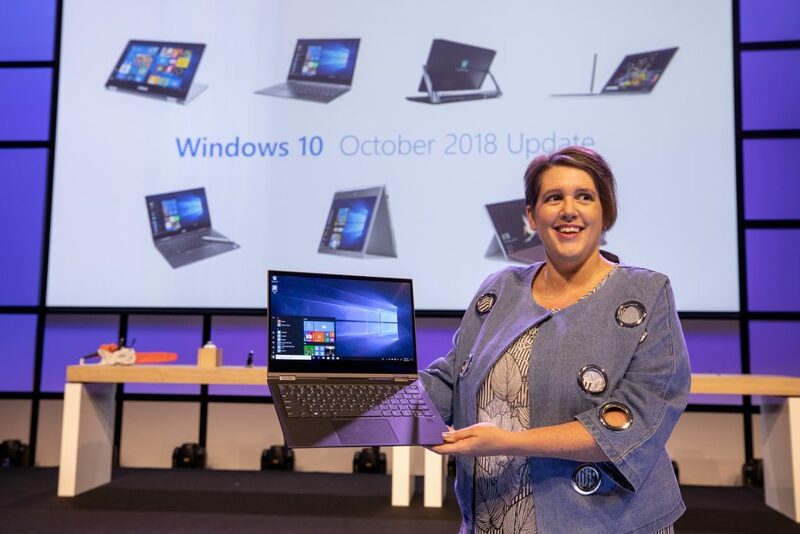 Speaking at the IFA 2018 keynote in Berlin, Roanne Sones, corporate vice president, Microsoft, has confirmed what most of us already knew -- the next big feature update of Windows 10, codenamed Redstone 5, will be the Windows 10 October 2018 Update. Don't all yawn at once. The name is no surprise given that it was expected to begin its rollout in October, and its predecessor was the April 2018 Update released in April. In making the announcement, Microsoft said, once again, that the OS is now on nearly 700 million devices. It’s been quite some time since this number was officially updated. Noteworthy new features in the next release include Cloud Clipboard, a dark mode for File Explorer, an updated Game Bar, Microsoft Edge improvements -- as always -- and big updates to Notepad and the Snipping tool. Sadly, what was expected to be the standout feature of this update -- Sets -- has been dropped from this release. Microsoft is hoping to get it into the following feature update out next year.